One of the CavBrothers listened to The Doors. Eventually I borrowed the compilation, Dark Scenes Inside the Gold Mine. I was hooked. The Doors had a unique sound that clicked with me. As a teenager I’d come home from school, put them on and take a nap. I read Sugarman’s biography of Morrison, No One Gets Out of Here Alive, a 3 or 4 times while in high school and college. Even though he’d been dead for over a decade, Morrison’s magnetism pulled me in. Disturbed and prone to excess, he lived a life this messed up teenager wanted to live (and I’m not glad I didn’t). I still like their music, particularly the interplay between Manzarek’s organ (often invoking the sounds of an amusement park) and Krieger’s guitar. It is a common formula for me, evidenced by my love for Deep Purple because of Blackmore and Lord. Morrison was not as good as a singer as Gillan, but he was obviously a much better lyricist. 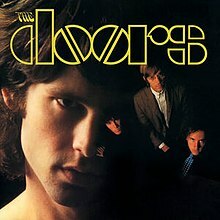 I didn’t see The Doors when it came out in 1991. I’m not sure why. Val Kilmer was one of my favorite actors, and Meg Ryan one of my favorite actresses. It came out “too late”, after I’d become a Christian and no longer attracted to Morrison’s excess. I started to watch it not too long ago. Kilmer did an incredible job. The problem, from my perspective, was Oliver Stone. His manner of storytelling got in the way. A few years ago I bought their first album, The Doors, during one of those Amazon Black Friday deals. It has held up amazingly well. For me, that is still their best album. The others were a bit inconsistent due to the pressure to produce. My next favorite would be the final album, the moody L.A. Woman. The album begins with a classic, but all too short, introduction to the band- Break On Through (to the Other Side). It remains one of their better songs. It was released as their first single, but was unsuccessful. The “she gets high” line was removed from the single thinking it would discourage radio play. Densmore has been into bossa nova music and used a bossa nova rhythm for the song. With Krieger’s Paul Butterfield-influenced guitar and Manzarek’s Ray Charles-influenced keyboards it made for a very interesting mix behind Morrison’s psychedelic lyrics. It just all works beautifully. The original version would later become a staple of classic rock radio. Next is the very different Soul Kitchen. It is a Morrison version of a love song. Then things get weird with The Crystal Ship. They move into 20th Century Fox about the modern woman before one of the two covers, The Alabama Song (Whiskey Bar). Originally part of an opera, they changed some of the lyrics. They would not be the last band to cover this song, and I’m not sure why. This is one of the weakest songs on the album. But the next song is the one that made them famous: Light My Fire. It is their most famous song. A shortened version was released as a single. This was the song that got them banned from The Ed Sullivan Show after they agreed to change the line “girl we couldn’t get much higher”, but then Morrison played it anyway. They didn’t have enough material so Morrison encouraged other band members to write some songs. Robby Krieger wrote this one. Clocking in over 7 minutes it contains some great extended instrumental sections. The next song is another cover, Back Door Man. This is a reference to the person you cheat with, having to sneak in and out of the back door. It is an old blues standard. But it fits Morrison’s philandering ways. It works much better than the other cover. Like the first side, you hit a trio of lesser songs: I Looked at You, End of the Night and Take it As it Comes. These are not bad songs, but can’t match the peaks of the beginning, middle and the end. 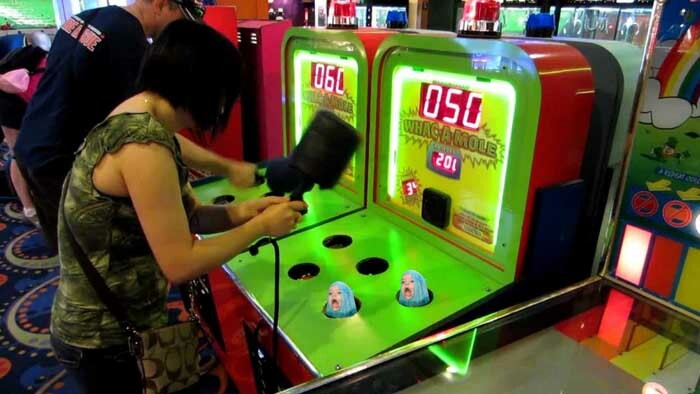 Literally, The End which builds tension for 10 minutes. Morrison was essentially stream of consciousness moving through the apparent pain of his childhood. At one point he claimed it was about the end of childhood. It is dark. It is strange. It climaxes in oedipus fury. Coppola featured the song in Apocalypse Now. It is a dark masterpiece. This is quintessential Doors. Quintessential rock ‘n’ roll. It isn’t for everyone but I still appreciate the disturbed genius of this album. It wouldn’t be the last time I appreciated disturbed genius. As a former Particular Baptist, as they used to be called, I had an appreciation for Charles Spurgeon. While in seminary I did a paper in one of my history classes examining his sermons during the revival of 1859 to see how the doctrines of grace (aka Calvinism) were prominent and therefore consistent with revival. I’ve found Michael Reeves’ books, Delighting in the Trinity and Rejoicing in Christ, to be engaging and informative. The former helped (re)shape my grasp of missions (including a critique/weakness of Christopher Wright’s tome, in other words, where is the love?). S o, imagine my pleasure in seeing that Reeves wrote the new book Spurgeon on the Christian Life: Alive in Christ. I decided I would read it during my vacation ritual this summer. Reeves had no easy task in trying to put this together. The vast majority of Spurgeon’s writing are the transcriptions of his sermons. Not quite something you can easily read and grasp a comprehensive understanding of how he understood the Christian life. He is an unenviable position as he writes this book. One of the interesting things about this series is that often the volume is written by someone outside of the subject’s tradition. Trueman, a Presbyterian, wrote the volume on Luther. Here Reeves, an Anglican, writes about the Calvinistic Baptist. The sections cover the themes of Christ the Center, The New Birth and The New Life. As you might imagine, regeneration seems to be the central motif in Spurgeon’s view of the Christian life as understood by Reeves. We must become new people with new passions and all of that happens in Christ. Or thru Christ since the focus is not quite union with Christ. Explicitly, anyway. He begins with a very brief biography of Spurgeon. He was a man of great passion, who felt greatly. He was known for a great sense of humor. While he used some humor in the pulpit, he was not a comedian as some pastors seem to think of themselves. Like Jonathan Edwards, Spurgeon loved creation and allusions and illustration to trees, flowers, animals and more filled his sermons. Spurgeon also grew up reading the books in his grandfather’s library. Many of these were Puritan books, and he developed a great fondness for Bunyan, particularly Pilgrim’s Progress. He viewed the Bible as the Word of Christ about Christ. As a result, the Bible did not compete with Christ for our affections, but is the revelation of Christ for us to know Christ. To not love the Bible is to not love Christ. The Bible is living and active as a result. Jesus changes lives through the Bible. In terms of translations, he held the KJV in high esteem, but not without criticism. There were times the translation frustrated him (as happens with me concerning other translations at times). Spurgeon affirmed that not only did the OT point us toward Christ, but that OT saints are our brothers and sisters. We shared the same faith. We just know more of the faith. Christ is the center of our faith, and all doctrines find their proper orbit around Christ. He was fully Trinitarian. But we must remember that Christ alone is the Mediator between God and man. It was Christ who became human, obeyed, died and was raised for our salvation. We come to the Father thru the Son, so Spurgeon preached Christ. As I mentioned before, he grew up reading Puritans. His theology was Puritan. Aside from the issue of baptism (and the ecclesiology that flowed from that)he was “Reformed”. He had a great appreciation for Calvin and understood Calvinism to be a shorthand for the gospel. He understood them as they were intended to be: Christ-centered. Though he was a Baptist, he affirmed (and perhaps exceeded) the WCF concerning elect infants dying in infancy being saved by the work of Christ. In one place he extended this to all infants dying in infancy. I’m not sure we have biblical warrant for this extension, though I’d like it to be true. Spurgeon was not dogmatic about Calvinism however (not a Gnostic Calvinist). He would affirm other preachers as long as they preached Christ. Reeves noted a sermon Spurgeon heard by a priest in Belgium. The priest preached Christ, much to Spurgeon’s delight. Preaching was more than informing people about Christ. He saw his goal to draw people to Christ. While you have content, the target is the heart. This, in some strange way I’d love to talk to him about, was why he discourage sermon series. I was scratching my head. Sermon series can’t be used by God to transform lives? Spurgeon was baptized as an infant. Like many new converts today, he read the Bible and believed he should be baptized after he believed. Spurgeon held on to his baptistic convictions despite the fact that many of the theologians he loved and respected practiced infant baptism. Reeves places this within the context of baptismal regeneration and a return to Roman Catholicism. Reformed paedobaptists don’t hold to baptismal regeneration. But it seems the fear of Roman Catholicism was strong in Spurgeon (I once was there too). We see there the disconnect, or at least I do. He held that we are brothers and Abraham, Isaac, Jacob, David and the rest. The covenantal principle seen in the sign of circumcision is that children receive the sign and seal of “righteousness by faith” (Rom. 4). Abraham had the faith, and the sign called his children to the faith. But Spurgeon breaks faith, so to speak, on this principle. He viewed baptism as a sign of our faith, not God’s promise. At times he warned of the baptismal font being a rival of Christ’s for paedobaptists. The same could be said for many of the credobaptists I’ve heard. So there seems to be another inconsistency. I mentioned about the covenantal principle of visible and invisible church in the OT (and NT). Rather, he holds to the impossible prospect of the “pure church”. Credobaptism doesn’t create a regenerate church, as the rolls of many baptist churches indicate. Baptism doesn’t mean one possesses the reality to which the sign points, whether one holds to paedobaptism or credobaptism. The promise of the new covenant is isolated from how the NT actually speaks about the church (wheat & tares, for instance). The new birth is necessitated by human sinfulness. We are not merely weakened by sin, but dead in sin and trespasses. We are hostile to Christ and the law in the unregenerate state. People are not neutral. God must grant new life for people to believe. Regeneration is a grace we receive, not because we’ve met any conditions but in order that we may believe. The Spirit uses the Word to give us this new life. He enlightens our minds; He shines His light into our hearts. Without the cross, there is no regeneration. There is no salvation apart from atonement, by Christ. His focus on Christ’s death meant that he advocated for weekly celebration of the Lord’s Supper. The message that saves is Christ crucified. It is also about the mortification of our sin in the present. Jesus aims to mortify our sin and give life to graces. The new birth necessarily creates a new life. The Spirit doesn’t give us new life and walk away. We are increasingly drawn to Christ and away from the sin that so easily entangles. Another aspect of our new life is prayer as an expression of our union with Christ. Our communion with Christ doesn’t pull us out of the world but calls us into the world just as Christ went into the world. Reeves then returns to sanctification. Spurgeon held to the blood of Christ as the “double cure”: free from sin’s guilt and power. Christ’s blood removes our guilt, but in Christ we also died to sin. Saved by grace thru faith, we also begin to walk in the good works prepared for us. This new life is a gift, but we live it. The Spirit isn’t living for us. Spurgeon made much of joy. It reveals that we serve a great Savior. It is the strength for our service to Him. Complaining and despondency rob us of joy, strength and vitality. But Spurgeon knew this first hand, as Reeves points out later. As we grow into Christ, we increasingly hate our sin. And increasingly see our sinfulness. We become more sensitive to sin and recognize our sinful motives and not simply actions. Reeves then returns to prayer with its own chapter. Spurgeon saw prayer as essential, not only to the Christian life, but to ministry. The Monday Prayer meeting was attended by over a thousand people each week. He saw it as the engine of the ministry. It is the battlefield between faith and unbelief. Spurgeon, who didn’t like planned out sermon series, also didn’t like planned out prayers either. He preferred spontaneity. I think this is a more a matter of preference and personality instead of principle. Reeves then shifts to Bunyan’s influence. We are pilgrims. But we are not solitary pilgrims. We are a community of pilgrims. But we are engaged in warfare- an army of pilgrims. The warfare motif wasn’t reserved for sermons, but Reeves shows that it influenced his private prayer journals. His was an active faith. Spurgeon oversaw “the Pastor’s College, the Stockwell Orphanage, seventeen almshouses for poor and elderly women, the Colportage Association, and a day school for children.” This was just the tip of the iceberg. He didn’t expect the government to solve his society’s problems. He expected the church engage them, and led the charge. But life is not all flowers and sunshine. Afflictions come and spirits falter. Depression can come home to roost whether by circumstance or medical conditions. Spurgeon fought with depression. The incident in Surrey Gardens, a “joke” that panicked the crowd resulting in 7 dead and 28 severely injured, resulted in clinical depression. Spurgeon also suffered from “a burning kidney inflammation called Bright’s Disease, as well as gout, rheumatism, and neuritis.” At times he would be unable to preach for extended periods of time. One reason we suffer is that Jesus suffered. The cross comes before the crown for us too, according to Paul. It is a sign of our adoption and union with Christ. We also learn to depend on Christ rather than ourselves. God also prepares us for greater ministry thru humility and empathy. He wraps up with the hope of glory. This is not our best life now. Spurgeon likely was a premillenialist, but clearly not a dispensationalist. He was not into speculation. He was into focusing on Christ. Perhaps it was my high expectations, but I finished the book thinking “That’s it?”. At no point was I stopping to ponder something more fully. This is the first volume in the series that disappointed me. This is not a volume I would be inclined to recommend to anyone (my favorite remains the volume on John Newton). This was more theoretical and geared toward the pastor, in my opinion. It also seemed to skim the surface. As I mentioned above, the source material is so vast but due to his habit of not systematically preaching through the Scriptures. It is seemingly impossible to sort through and “systemize” the material. This is still unfortunate. 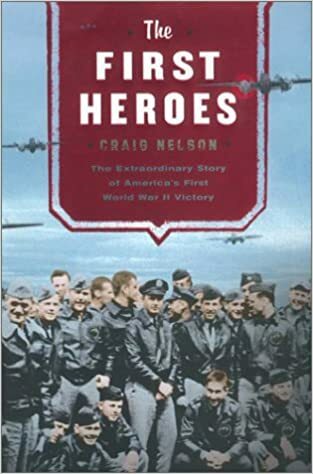 A retired pastor lent me his copy of The First Heroes: The Extraordinary Story of the Doolittle Raid- America’s First World War II Victory by Craig Nelson. I wondered, “how can a book about a single raid be so big?” I put off reading it until vacation. This is a great book, and I’m very glad I read it. It was about much more than the Doolittle raid as he provided the larger context of the raid and background on some main characters in this event. He also told the story of the men after the raid and the many consequences of the raid. This means that Nelson spends time talking about the Japanese empire, the rise of ultra-nationalism and the oil embargo that triggered the attack on Pearl Harbor. He spends time describing that attack that triggered the U.S.’s unwilling entrance into World War II. He discusses the aftermath of the Doolittle raid and how the rest of the war played out. As such, this was an extraordinarily interesting book. It begins with the volunteers for the raid. It was a novel idea, having land-based bombers take off from an aircraft carrier. This required special training that would take place in Elgin, FL. Preparing for this mission was particularly difficult for a country, and military that wasn’t ready for war despite the fact that one had been going on for 3 years. Much of the equipment was outdated and the soldiers unprepared from combat. The nation was still in shock from the attack on Pearl Harbor and the subsequent victories of the Japanese military throughout the Pacific. Much of its navy was sitting at the bottom of Pearl Harbor. For this crazy mission they modified the B-25s to increase fuel capacity (nearly double) and minimize fuel usage. Other “unnecessary” weight would be removed in the hopes that the planes would be able to make to airfields in China, the part not occupied by the Japanese. 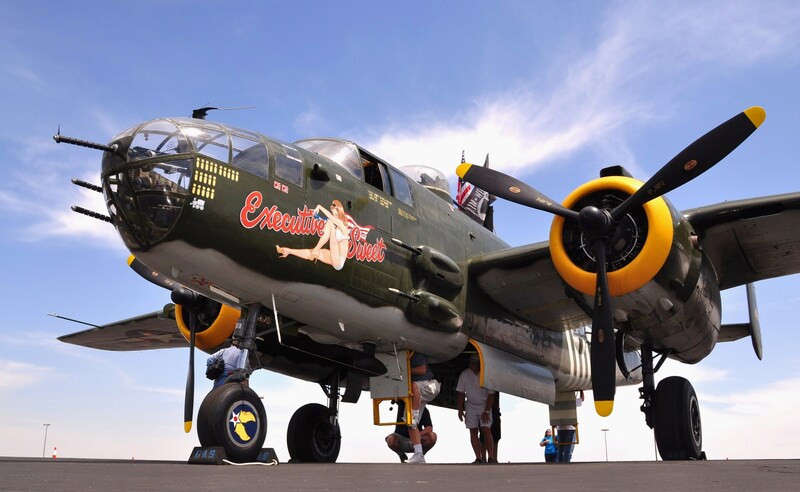 They learned how to barnstorm in B-25s in order to gain an advantage in their bombing run. The book then moves to “The Man Who Can Never Stand Still”, a brief biography of James Doolittle, the record-setting pilot who was tasked with putting together the mission. He wasn’t supposed to actually fly on the mission. At the last minute he finagled his way into flying the mission. He’d missed aerial combat during World War I, and now was his chance. The next topic is the ship who carried them, the USS Hornet. The pilots trained in Elgin (the Florida panhandle) and then transported their planes to Alameda, CA. The men needed to keep absolute secrecy on their mission. They could never mention it to anyone or on the phone with each other. The mission was not announced to the crew of the Hornet until they had left the harbor. The sailors were excited to learn they would strike the heart of Japan. Unfortunately some mechanics didn’t know that the planes had been modified to make this trip and returned the engines to specs. Nelson moved to Japan’s increased militarism. The plan to bomb Pearl Harbor was inspired by a novel by Hector Bywater called The Great Pacific War written in 1925. It was translated into Japanese and became popular with cadets in their military academy. The U.S. and Japan were engaged in a trade conflict over oil. America and Britain had begun an embargo against the Japanese. The enraged Japanese leaders decided to initiate the war by attacking Pearl Harbor. What followed was a series of blunders by the U.S. as the Japanese used their embassy in Honolulu to do reconnaissance. Whenever information arose indicating this plot, the U.S. wrote it off as impossible for them to execute. Nelson provides a fairly detailed account of the attack which was planned by Yamamoto, and the led by air chief Fuchida Mitsuo. The book then shifts to FDR and how the plan for the Doolittle raid came to fruition. It was frustrating to read of the agreements FDR had with the press to keep his polio from the people. It was also frustration to read of the the ineptitude of the administration in missing the signs of the impending attack. It was similar to the years leading up to 9/11. After all this background, Nelson returns to the mission itself. It already had a high degree of difficulty, but it was going to be made more difficult by two important factors. First, they were spotted by a Japanese boat on civilian patrol. After notifying the mainland it was sunk. But now the planes would have to fly farther than anticipated or put the task force at risk of destruction by the more powerful Japanese navy. Secondly, a storm was tossing up the ocean. The pilots had to time their takeoffs so lift off occurred as the waves pushed the nose of the ship up. Amazingly they all took off without incident to begin the long flight to Tokyo and other targets. The planes never got into formation since they had to stretch their fuel even farther. They were not sure they’d make it to China. They lost bearings due to the storm. This would work to their advantage since they arrived at different times from different places. The Japanese air defense couldn’t predict anything. While doing some damage to a few airplanes, none of them were shot down over Japan. All but one continued on to China. That one, thinking they wouldn’t make it flew to Russia (though at war with the European Axis, it wasn’t at war with Japan). While that plane landed safely in Russia, the rest crash landed in the China Sea or in China. After leaving Japan the storm ended and they got a favorable wind extending their fuel range. But they all ran out of fuel before making the appointed airstrip as they encountered another storm over China. Amazingly, only a few men died. Doolittle was the only one who had parachuted before. Some were injured while parachuting, but none of the injuries were life-threatening. The most serious injuries and deaths occurred for the planes that crash landed in the sea. These men, who ended up on an island, would be captured by the Japanese. The others, including a man whose leg would be amputated in China, would get to safety. All of those who were captured would be tortured. Some would be executed as war criminals, allegedly for strafing schools. The Japanese had their manufacturing surrounded by residential areas. Much of the strafing was likely from the Japanese fighters attacking the bombers whose defenses were greatly limited to make this flight. Another would die of starvation in the POW camp. The others were in solitary confinement for 3 years. One of them would have profound psychological issues as a result. Another would become a Christian after nagging the Japanese guards for a Bible. As the war ended, he believed God was calling him to return to Japan as a missionary. Nelson discusses the battle of Midway as part of the Japanese retaliation for the Doolittle raid. This was a key naval battle in which they hoped to eliminate the rest of our navy. But we had cracked their code and with an inferior force crippled their navy which turn the tide of the war. Y ou can see why this was an interesting read. He covers plenty of territory in this book. It isn’t just about events, but the people who were a part of them. We see the eventual conversion of Japanese hero Fuchida Mitsuo through the ministry of former POW Jake DeShazer. Some of his former guards also became Christians, as did a woman who initially went to the evangelistic meetings to kill DeShazer. I appreciate Nelson’s willingness to include this part of “the rest of the story”. Many historians would likely eliminate it as non-essential. The survivors of this raid were a band of brothers. Many of them would attend the reunions. Eventually wives and families were included. Eventually it became a benefit, allowing people to mingle with these men and hearing tales of their unlikely adventure. This is a story, not just of war, but of men, and a very satisfying read.